Home > Teenager > Why won’t my teenager get out of bed on time? The answer to every parents' question! Your bed is always the most comfortable the instant that you need to get out of it, especially when you haven’t gotten enough sleep. When you’re a teenager, there’s no such thing as enough sleep. Teenagers need the most sleep out of any other age category because their brains, emotions and bodies are still developing at a very high rate. Here are a few ways that you can help ensure that your teenager gets as much sleep as possible without intruding on their lives too much. Building a routine before bed can help to trick your teenagers brain into realizing that it’s tired, even when there are things that are much more fun to do happening in the waking world. Teenagers need as much stability in their life as possible when it comes to their sleep schedule. They should be going to bed and waking up at the same time every day whenever possible. This may not make you the most popular of parents, but it’s very important are teenagers mental health and physical well-being that they get a good night’s sleep. If you have lived in the same place for a while, then chances are you have not updated the bed or bedding in your teenager’s room in a few years. Talk to your teenager about what they need to be more comfortable in their room, whether that’s a new mattress topper or better light blocking curtains. They may even need to go mattress shopping, which can be a pricey change but an important one. While you’re at it, you might want to look at last time that your mattress has been replaced. If it’s been more than eight years, you need to get yourself a new one as well. 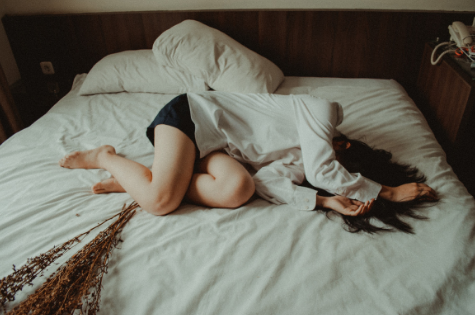 If your teenager mentions that they are having issues with anxiety at bedtime, a weighted blanket might be helpful in quelling the physical symptoms that come with anxiety. Make sure to get them one that is appropriately sized for their weight and bed size! Whether your household is full of coffee drinkers, tea drinkers or soda drinkers, make sure that you keep the caffeine intake to early in the day, if you have to have it at all. Caffeine can stay in your system for up to eight hours after you drink it, so this could be causing your teenager to have trouble sleeping even if they wanted to go to bed on time. Once again, this will make you very popular, but limiting the amount of time that they are on their phone or the computer before bed will ensure that they avoid the damaging effects of the spectrum light on their melatonin production. If they have to use their phone or computer, make sure that they put it on night shift mode to help mitigate this issue. For the next day's fun activities!